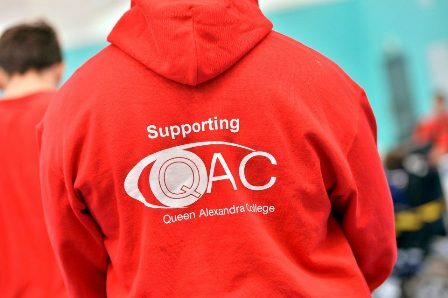 As well as being a college, QAC is a registered charity, something which many people don’t realise. Although student fees cover their programme costs, it is our fundraising that makes projects such as new equipment, student focused activities and new provisions possible, so the support and generosity of friends and supporters is vital to what we do. We actively fundraise by organising a wide range of events for people to get involved in, as well as submitting applications to Trusts and Foundations. Without fundraising, projects such as our sports hall, onsite café, music development, community integration activities, Umberslade Nurseries community initiatives and many more would not be possible. Supporting us is about more than giving money, it is about being part of our students’ journey, and helping them achieve their potential and their independence. Your help and support, however large or small can make a big difference! So take a look through our fundraising pages on the left to see how you can get involved and then get in touch with the team. I have learnt a lot of new things whilst at QAC and my programme has helped me to develop my IT skills.